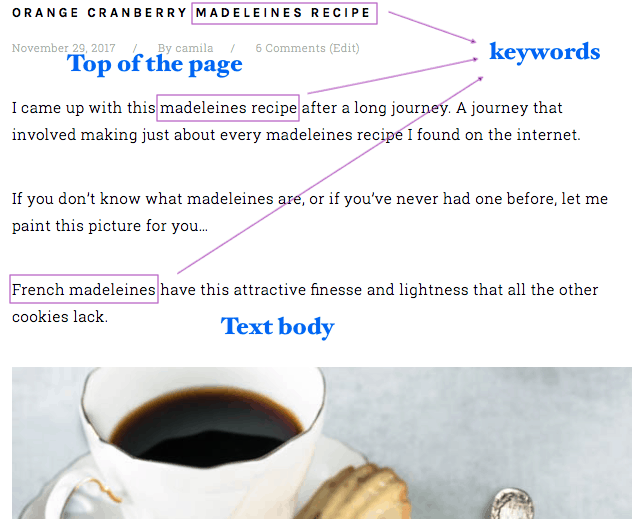 This article about how to write a recipe post using SEO is the first of a series of posts I plan on publishing about using SEO practices to your advantage in order to increase traffic to your food blog. SEO (Search Engine Optimization) is the practice of increasing traffic to a website through search engines. You want your website to be listed in the first page of organic search results. When people type chocolate bundt cake on Google, I want my recipe to be ranked high in the results, so it can reach more people and direct more readers to my blog. I started blogging only a few months ago and I have completely underestimated the importance of SEO until now. Shame on me, because there’s a lot of information out there, you just have to take the time to look it up and read about it. Read a LOT about it. This is a very complex subject that is in constant change. Sometimes it really is a guessing/experimenting game. But I guess I get the very basics of it and I want to share with you what I’ve learned so far. And I have to say, I am completely new to all of this. And a lot of people I know are too, so maybe this information can help somebody. Plus, registering this in a post is making me learn better about this very puzzling subject. On the bottom, I’m going to list some of the websites I’ve used as resource for writing this article. Well, yeah! Pretty important for readers and also for Google! Very important in my opinion. People are busy, they want to know how much of their time needs to be devoted to this recipe. The more information you can provide about the recipe in a concise way, the better! In summary, the more complete your recipe card is, the more information Google has about what kind of website you are. And the more Google knows about you, the more it will trust you. And that’s not any different with users. 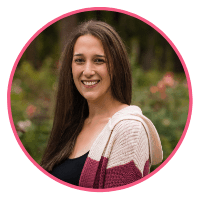 You have to incorporate keywords that users are searching for, throughout your blog post. Look up what are some common search queries users are typing on google when researching the topic you are talking about. To do this, you can use a search optimization plug-in such as Yoast. The plug-in offers a Keyword Optimization feature, besides many others that will help your SEO. You can use a free version of Yoast, which is more limited, or you can upgrade to a premium one. Also, you can use Google Trends to manually research words people are typing more than others. To explain better how to do this, let’s take for example, my post Orange Cranberry Madeleines Recipe. I went on Google Trends and searched for the frequency that people typed certain expressions when trying to find a recipe for madeleines. I started looking up a bunch of expressions I would myself type if I was looking for said recipe. Then, I eliminated results with very low count and used the expressions with the most searches. Now, it’s very important to remember that you don’t want to abuse the keywords. You have to find the sweet spot, the perfect balance. Search engines don’t like the overuse of keywords and they know how to detect it. The title of your page shouldn’t be too long (up to 65 characters) and the keyword would preferably be in the beginning of the title. This is a pretty simple one. No brainer. Google places high value on the alt attribute of images. 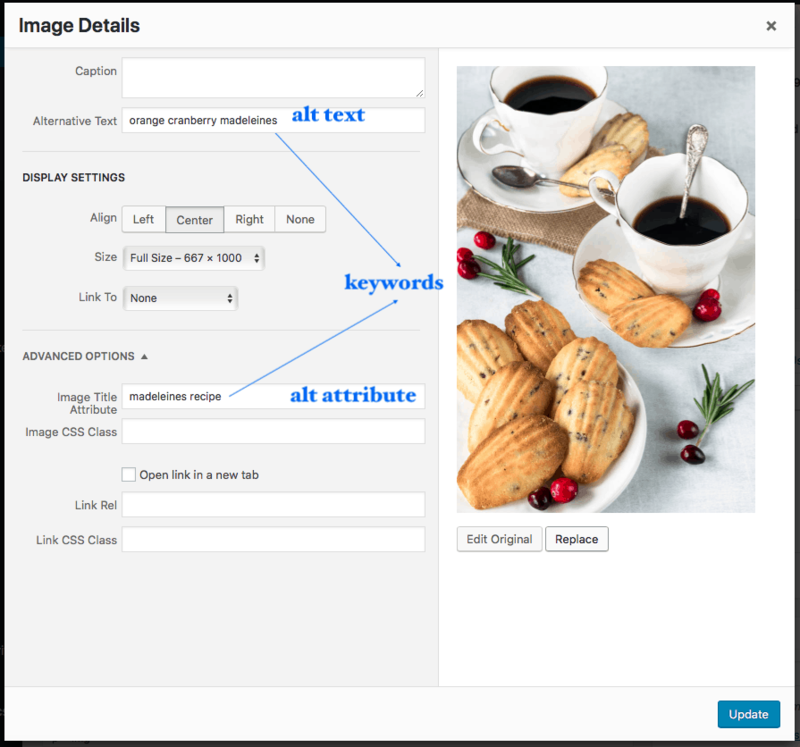 Taking the time to write your alt text and alt attributes of your images is very important for SEO. Make sure to include your keywords when filling those in. This is also crucial in order to be ranked in image search results. You have to make sure your URL contains your keywords. You also want your URL to be short and straight forward. Avoid using symbols and too many words. You should separate the words in the URL with a hyphen (-) because other symbols aren’t easily interpreted by web applications. To make changes to your URL, simply edit your Permalink. Your Meta description should also contain your keywords. This will also help attract readers to your site when they find you on search engine results. You want your meta description to be very clear and objective, so users will have a very easy time identifying the purpose of your post. The most important thing to do is ask yourself what your target audience is looking for that you can offer and make sure that it is transparent and concise within your website. On my next post, I will discuss the Readability of a post and why it’s so important for engagement improvement. If you have any questions or comments, please don’t hesitate to contact me. I want you to remember that I am fairly new to this and I am learning as I go, as many of you are also. We can do this, friends! We can pull this through!! We are many beginners bloggers struggling and spending a huge amount of time in searching on this topic and on many ohers. So sharing information and best practices amongst us is to my view the most productive way to learn. I started myself putting all my notes down when creating my blog.. I might also think about posting and sharing my findings when I have a spare moment. Thank you so much, Silvie! You should definitely share your notes with us! I love exchanging information and learning from my fellow bloggers!! Have a great day! Hi Camila, you provided us with a wealth of information. Clear and consise. I learned quite a bit. I usually describe my photos but I think I skip the Alt photo 😫. Also, sometimes, I use symbols in my title. So much to learn. Sadly, I’ve neglected my blog because I’ve been focusing on my cookbook. Regardless, I’m loving this information and making this Will inspired me to write a blog post soon. Thanks again for all your research and support. Awe Thank you Rebecca!! That means a lot!! This is so helpful Camila. I didn’t understand what alt attribute of an image was until now. Do you have a premium Yoast plugin? I have a free one. Do you think it’s worth upgrading? Thanks for penning it all down in a very easy to understand manner! I have only recently understood the importance of this! Better late than never! Would be following your upcoming blog posts too :). Thanks! Great info and the photos help so much. I think I am doing things “Right” but I know I have to keep reading to make sure I really understand all the ins and outs. Thank you for sharing! You did a terrific job with this and awesome with the screen shots, Camila! Thank you so much Camila! Love all the screen shots! Thank you so much, Lisa! I’m glad you liked it!